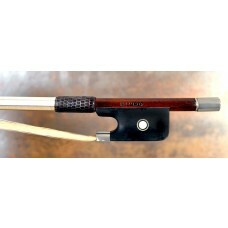 A fine French cello bow by F.N. 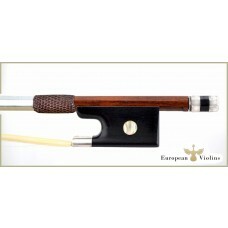 Voirin A beautiful French cello bow made by François NIcolas Voirin - certified by J.F. Raffin in Paris. 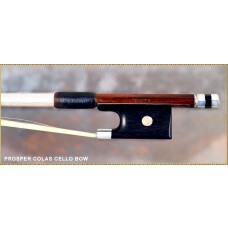 This professional silver mounted cello bow represents the high standards this great bow maker (signd on the on the stick !). full of detail, and the action is very secure.. The stick is made of very fine pernambuco, not to soft, and well balanced. 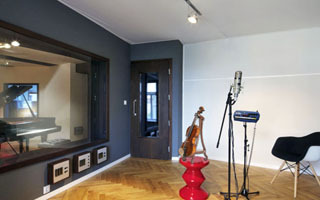 The lenght of the stick is around 69,6 cm (4/4 size), and the perfect weight of the bow is ca. 78 g.
It comes with new silver winding, ready to play. VOIRIN, François Nicolas Born 1833 Mirecourt, died 1885 Paris France. Brother of Joseph, below, and cousin of J. B. Vuillaume. One of the greatest and most influential makers of the classical French school of bow making. Apprenticed to J. Simon in Mirecourt. Subsequently worked for Vuillaume in Paris 1855-1870. In that shop he succeeded N. Maline as director of bow making and instigated many significant improvements in the design and techniques of the craft. Established independently at 3 rue du Bouloi. Teacher of C. Peccatte, J. A. Lamy, C. N. Bazin, C. C. Husson, and Louis and Claude Thomassin. The last of these, Claude Thomassin, kept the workshop open after Voirin’s death. Born at Mirecourt. This incomparable bow maker was trained by J.-B. Vuillaume, with whom he worked for about fifteen years. His sticks are very fine and elegant, perhaps at the expense of their strength. 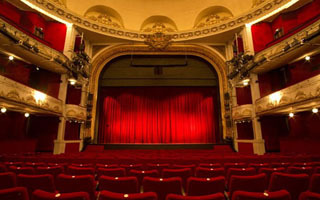 They are much sought after and realize high prices especially when gold-mounted. The production of this master, looked upon as the modern « Tourte », has been fairly large, but a large number of bows bearing his mark are not by him, having been made by excellent workmen in the employ of his widow, who continued the business for several years after his death. Mark: F.-N. VOIRIN.